Innovative Solar Systems, LLC issued the following announcement on Feb. 5. Innovative Solar Systems, LLC, an Asheville, NC based developer of large scale Solar Farm projects is offering Solar Farm Sales Brokers huge commissions these days to find buyers for the companies 5GW of early stage projects in Texas. Spokesman for (ISS) has indicated that the company has one of the largest Texas Portfolios of Solar Farms that exists at Over 5GW total and to expedite the development and build out of this vast Texas portfolio ISS is currently offering Sales Brokers commission deal structures that range from 10-20% per 300MW+ portfolios which equates to anywhere from $5MM to $60MM per deal depending on the size of portfolio and whether the Broker is also involved in the Sales Flip once the projects are at Commercial Operation Date (COD). Sales Brokers are becoming Instant Millionaires. For large Investors seeking to deploy anywhere from $300MM for a standard 300MW portfolio to $5Bill for the entire 5GW portfolio this could also be an investment of choice since projects that are designed, approved and built for an ALL-IN price of $1/watt are being easily sold for anywhere from $1.75-$3.50/watt once at COD in the current market. 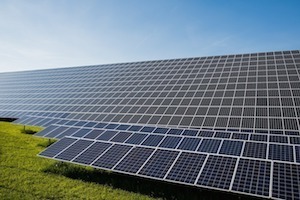 Investors, like Brokers are also getting rich these days making anywhere from 100-300% returns on Large Scale Solar Farm projects, and Solar Investments have become a hot commodity and the money community has an almost insatiable appetite for these large scale Solar Farm projects for many of the reasons discussed above. Utility companies nationwide are seeking Solar to replace coal and natural gas as a more efficient, more reliable and cheaper option for electricity. The majority of US States are now also mandating minimum Renewable Energy on their grid by near term dates. Utility Scale Solar Farms are in high demand and knowledgeable Brokers that have closely held money contacts that can invest as little as $300MM for 300MW to over $5Bill can do well making large commissions with ISS until the current Texas portfolio is all under contract and Sold. Want to get notified whenever we write about Innovative Solar Systems, LLC ? Next time we write about Innovative Solar Systems, LLC, we'll email you a link to the story. You may edit your settings or unsubscribe at any time.